Alexandria, VA, January 24, 2007 – A recent study funded by the Hot Tub Council (HTC) of the Association of Pool & Spa Professionals (APSP) found that patients who undergo total knee replacement surgery and incorporate water exercise into their treatment, as opposed to land exercise alone, have a greater opportunity to return to normal function faster. The warm-water therapy study also found patients to have an improved range of motion and less pain and swelling throughout the recovery process. The HTC provided a $50,000 grant to the Foundation for Physical Therapy (FPT) to conduct the study. The FPT awarded the grant to Richard McAvoy, a physical therapist in Somersworth, New Hampshire. McAvoy created two experimental groups of 30 people who had undergone unilateral total knee arthroplasties. One group of participants utilized only land-based therapy, while the other group was exposed to both land- and water-based therapy, the latter in a pool heated to 92 degrees Fahrenheit. Range of motion, pain, swelling and functional status were measured and the hypothesis proven: warm-water therapy patients do, indeed, recover faster. 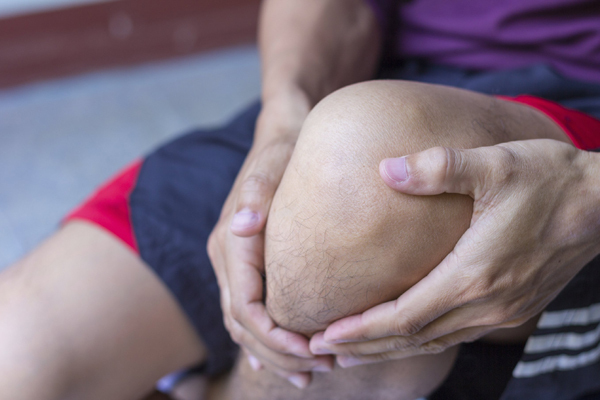 Though results from this study were in favor of warm-water therapy for rehabilitation post-knee replacement, there is more research to be done. The HTC and the FPT hope to conduct future studies on the positive impact of water exercise in conjunction with land exercise and submit the findings for publication in the Journal of Orthopaedic & Sports Physical Therapy in 2007.